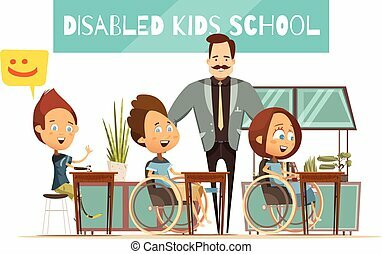 Disabled kids. 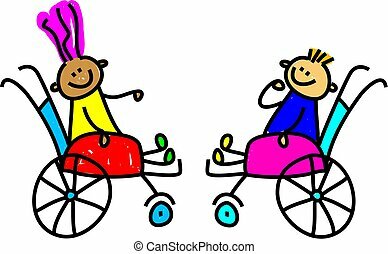 Four happy diverse and disabled friends following each other - toddler art series. 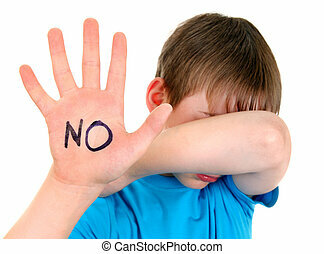 Happy children jump with raised hands. 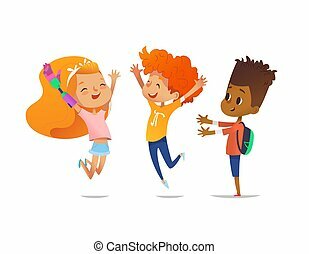 Girl with artificial robotic arm and her friends rejoice together. 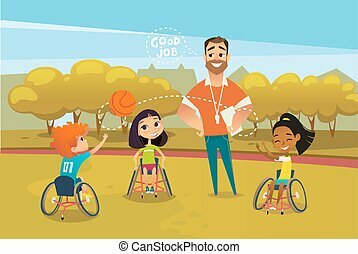 Inclusion of disabled kids concept. 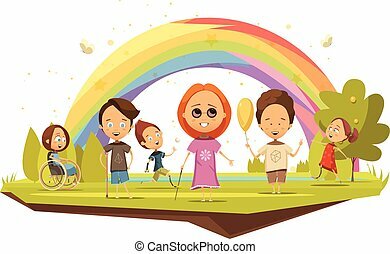 Vector illustration for banner, website, advertisement. 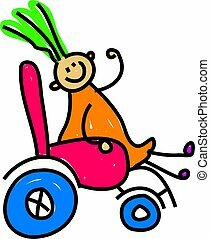 cartoon disabled teen kids characters restriction of movement medical equipment. 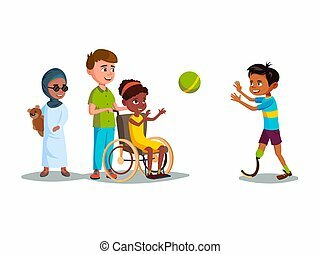 African girl wheelchair plays boy leg prosthesis, blind female khaliji muslim character in hijab with bear toy. 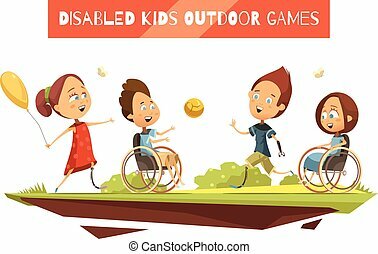 cartoon disabled teen kids characters with restriction of movement playing using medical equipment set. 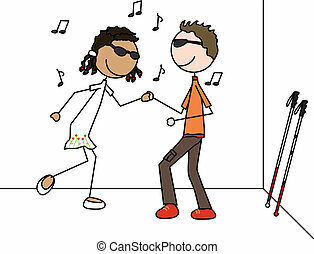 Girl in wheelchair playing boy with leg prosthesis, blind female character with bear toy. 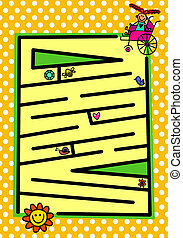 Vector cartoon disabled teen kids characters restriction of movement medical equipment. African girl wheelchair plays boy leg prosthesis, blind female khaliji muslim character in hijab with bear toy. 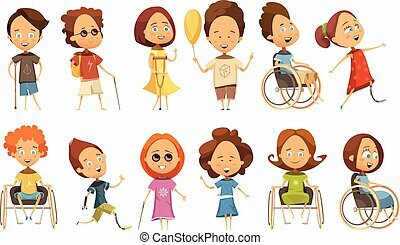 Vector cartoon disabled teen kids characters with restriction of movement playing using medical equipment set. 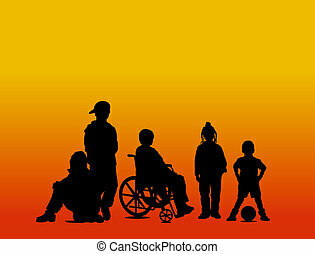 Girl in wheelchair playing boy with leg prosthesis, blind female character with bear toy. 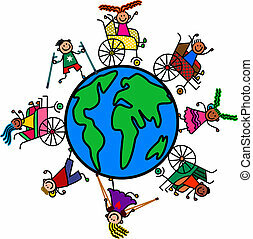 A group of happy and diverse disabled boys and girls standing around a world globe. 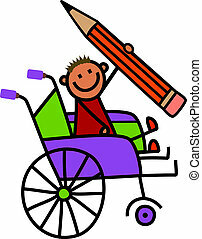 A cartoon childlike drawing of a happy disabled boy sitting in a wheelchair and holding a giant pencil. 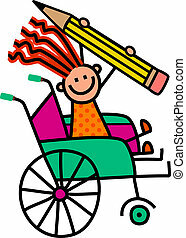 A cartoon childlike drawing of a happy disabled girl sitting in a wheelchair and holding a giant pencil. 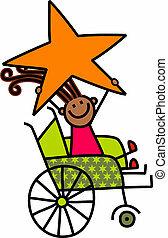 A cartoon childlike drawing of a happy disabled girl sitting in a wheelchair and holding a giant star. 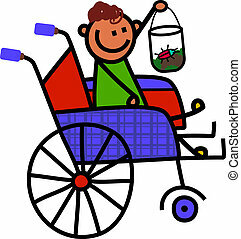 A cartoon childlike drawing of a little disabled boy sitting in a wheelchair and holding up a jar with a bug inside. 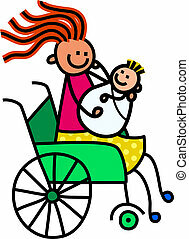 A cartoon childlike drawing of a happy disabled woman sitting in a wheelchair and holding a newborn baby. 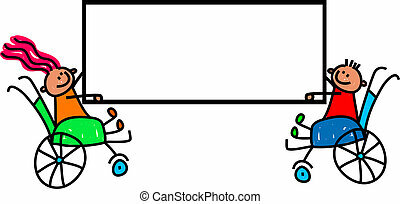 Happy stick disabled boy about to set off on a maze puzzle journey to find the car at the finish. 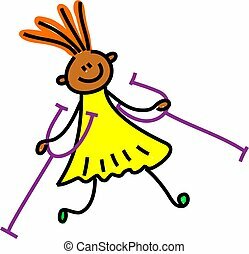 Happy stick disabled girl about to set off on a maze puzzle journey to find the flower at the finish. 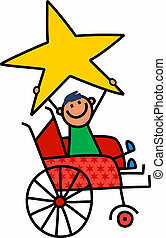 A cartoon childlike drawing of a happy disabled boy sitting in a wheelchair and holding a giant star. 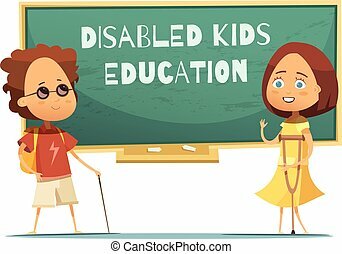 Cute cartoon stick disabled kids holding a large blank sign. 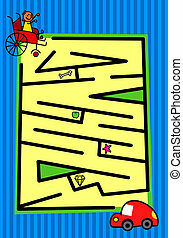 Just add your own message. 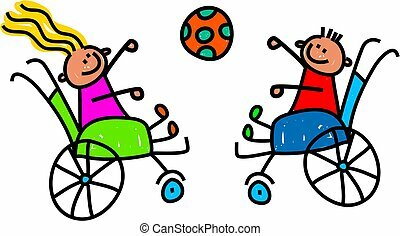 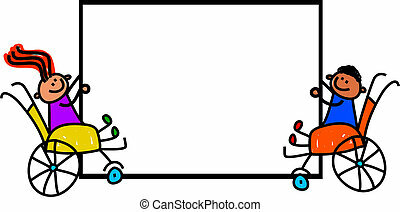 Whimsical doodle style illustration of two little children in wheelchairs playing catch with a ball. 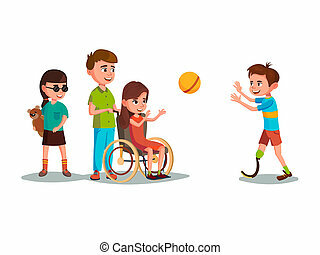 Cute cartoon stick disabled kids making friends with each other. 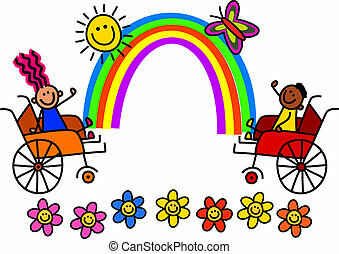 Happy stick disabled children with rainbow waiting to be colored in. 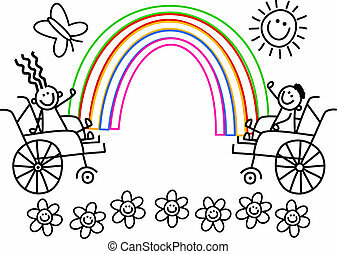 Kids coloring page. 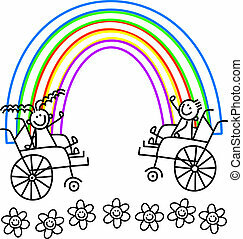 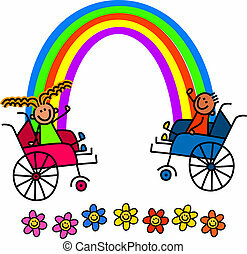 Happy stick disabled girl and boy sitting in wheelchairs with a rainbow and flowers. 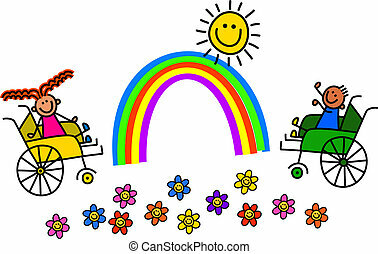 Happy stick disabled girl and boy sitting in wheelchairs with a rainbow, flowers and sunshine. 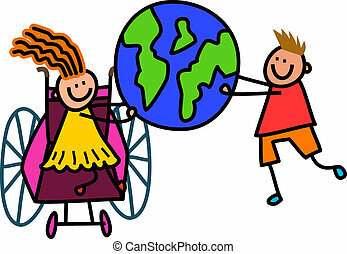 Happy cartoon stick children holding a world globe. 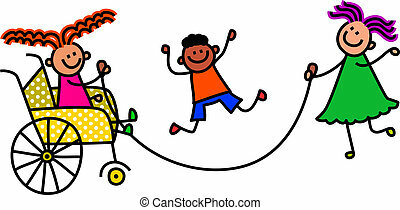 Happy cartoon stick children playing a skipping rope game. 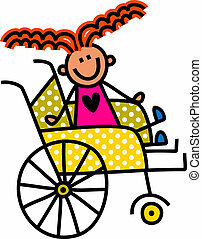 Happy stick disabled child sitting in a yellow polka dot wheelchair.